Tree phase DC voltage measuting transducers. 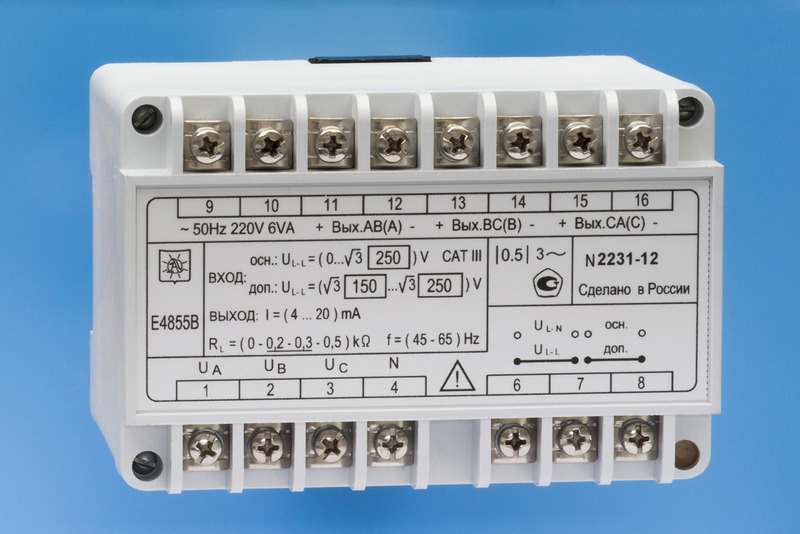 E4855 can be used without external primary transformers. Weight not more than 0,6 kg. 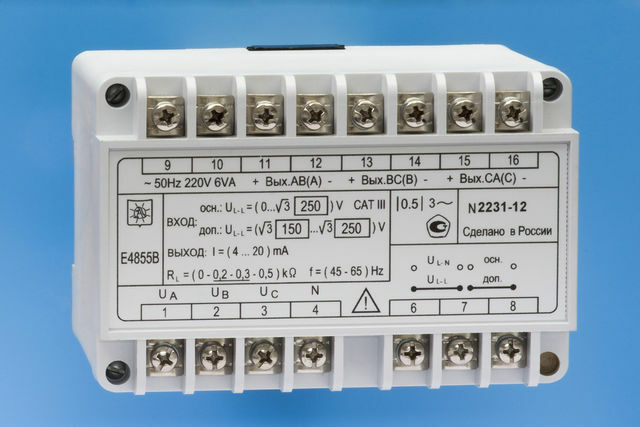 Power supply – AC 187-242V 50 Hz frequency. Time of setting output signal in case of input signal hopping to any value in measured range – not more than 0,5 s.
Time of setteng working condition – not more than 10 min. Worktime between failures – not less than 50 000 h.
Average lifetime – not less than 10 years. Note: additional measuring transformers-free usage is possible. Three output cascades are galvanically unlinked between each other and input cascades..
Additional measuring range (pointed in brackets) can be selected with external cross-piece. ABLogger is the device intended for condition monitoring of battery charging devices and electrical systems equipped with a battery (vehicle electrical on-board systems, alternative power sources). Electrochemical power source Activator (Activator) is intended for battery maintenance, training and state checking.